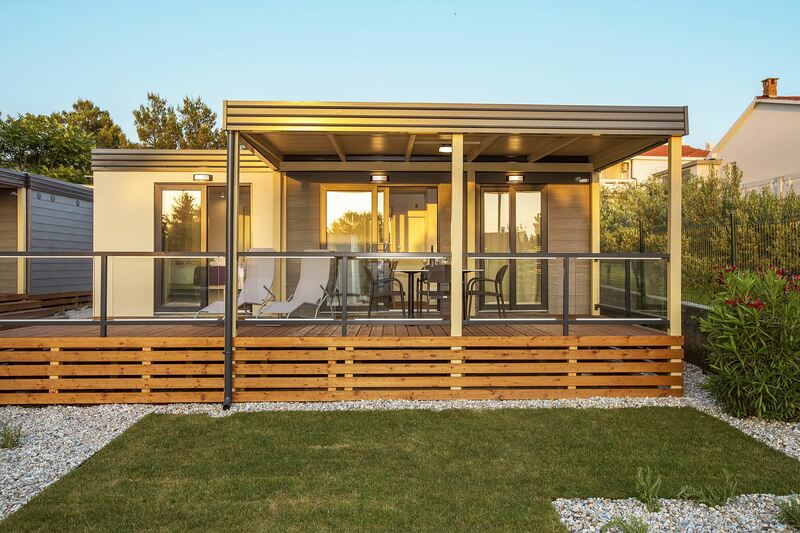 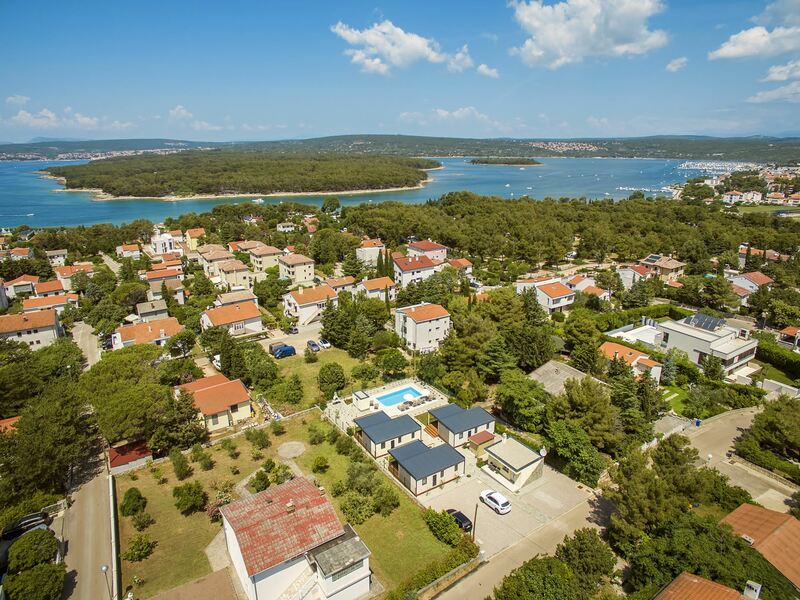 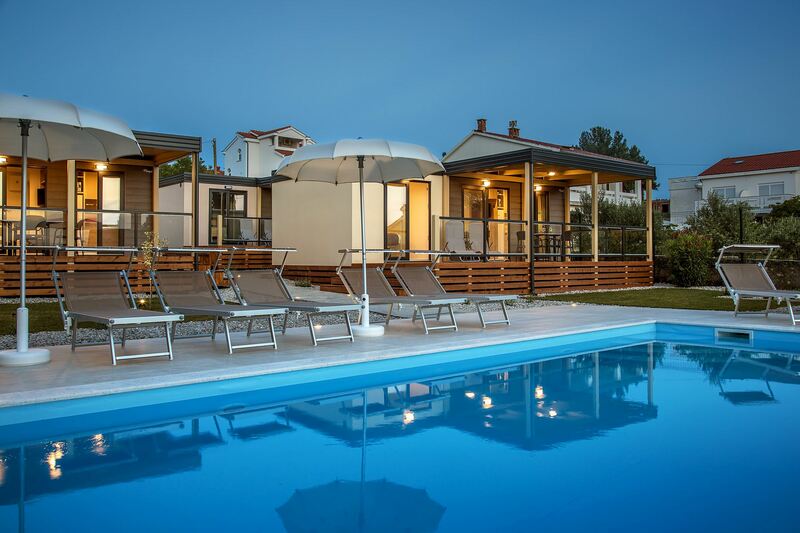 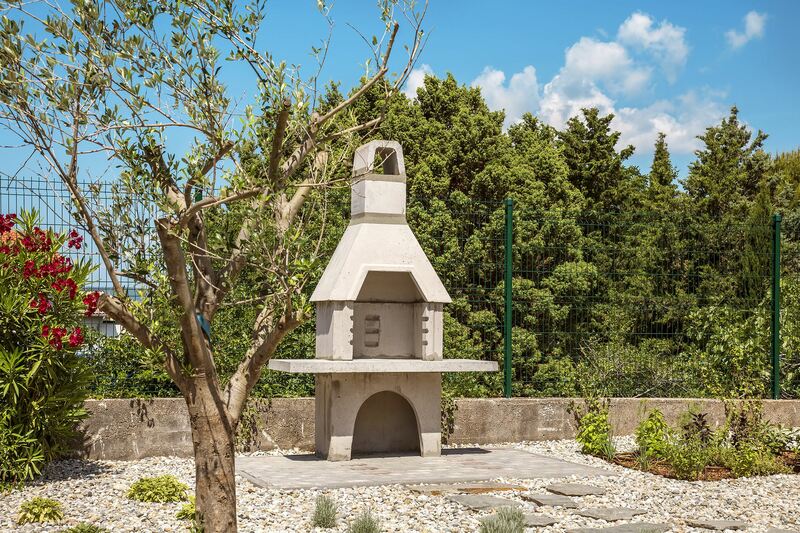 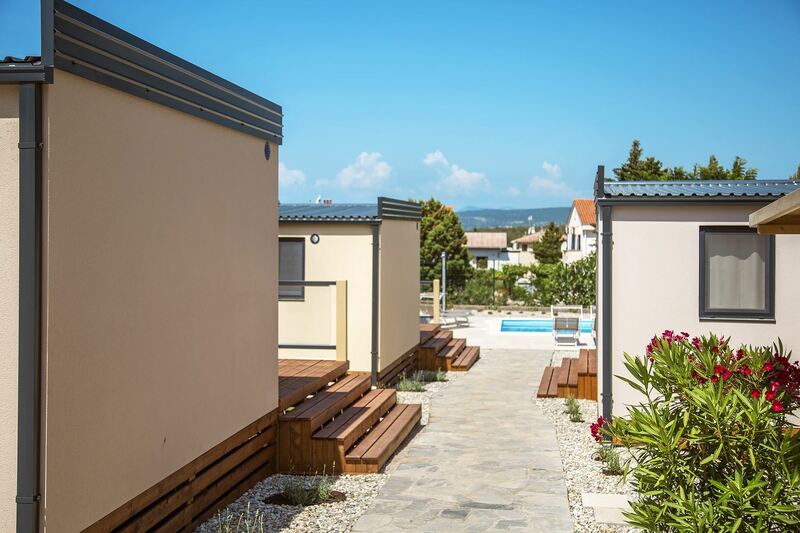 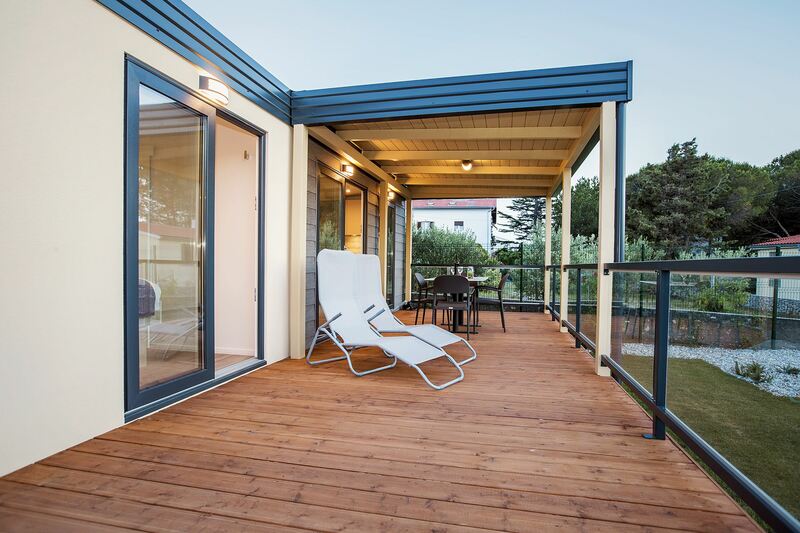 Mobile homes "Sanmar" are located in Punat on a spacious plot of 900m2 which is surrounded by Mediterranean greenery and is only a few minutes walk from the pebble beach. Accommodation consists of three modern mobile homes where each can accommodate 4 persons plus two childrens on additional beds, if requred. 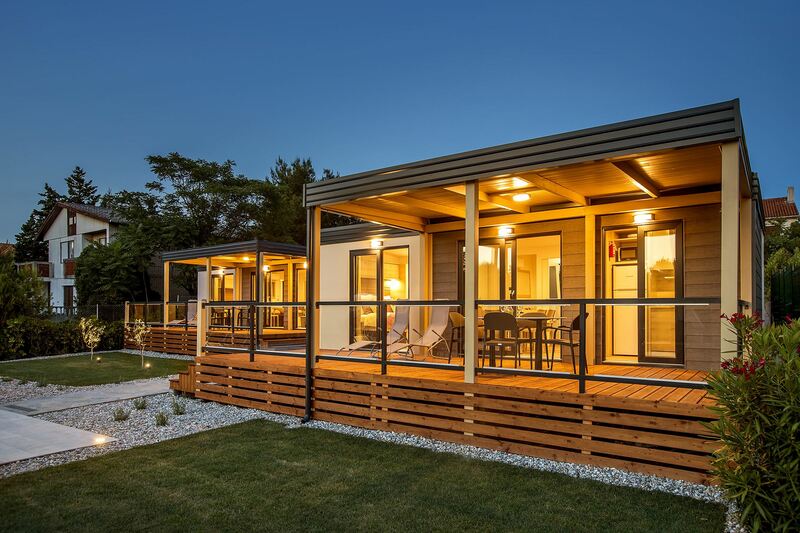 Each mobile home has two bedrooms, master bedroom with ensuite, and also the possibility of accommodating two children on the sofa bed in the living room. 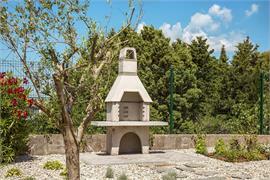 The kitchen is fully equipped with crockery and kitchen appliances. 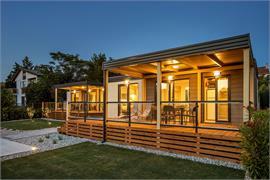 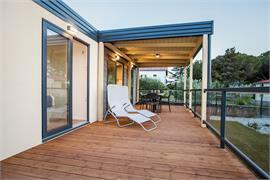 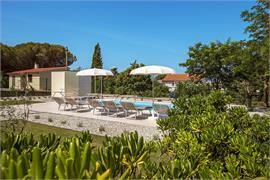 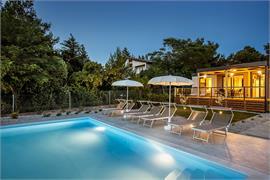 There are also two bathrooms with shower and a partially covered terrace/verandah of 20m2. Mobile homes also have air conditioning, satellite TV and wireless internet. 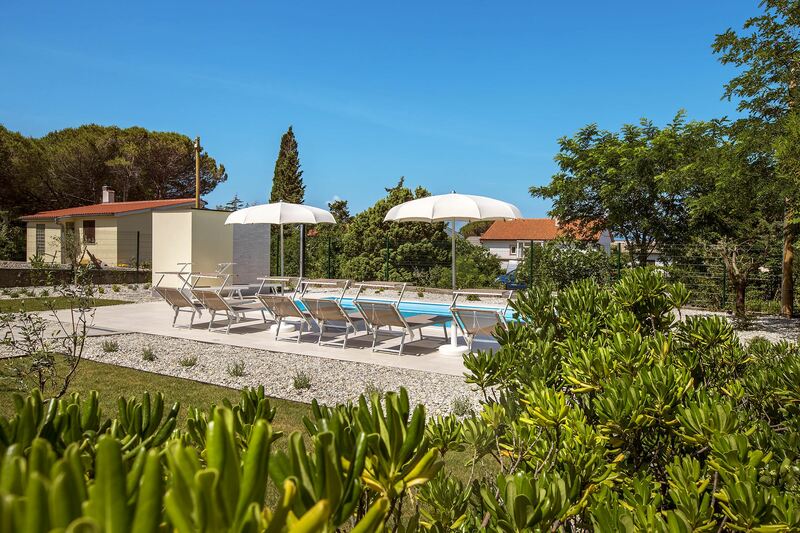 Guests have at their disposal a shared swimming pool (8x4m), deck chairs by the pool, a parking place, bicycle stand, shared barbecue, and use of washing machine (on request). 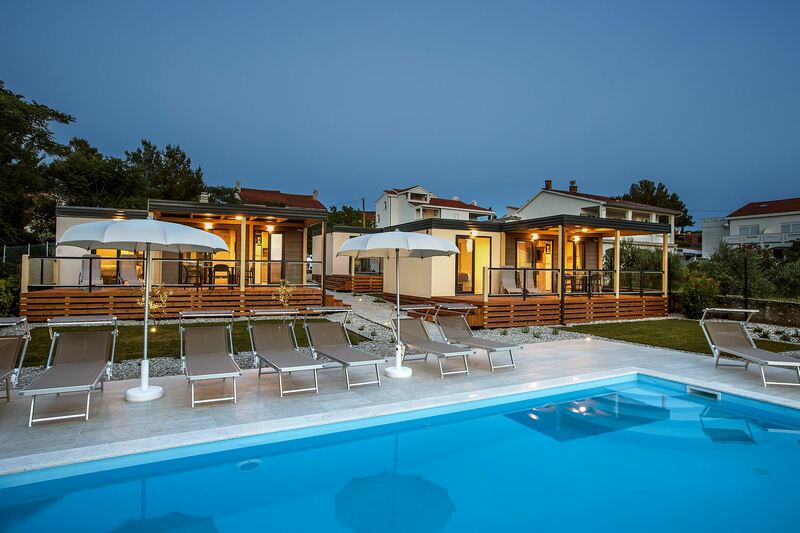 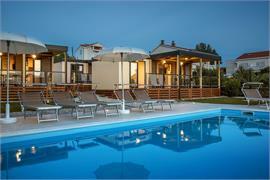 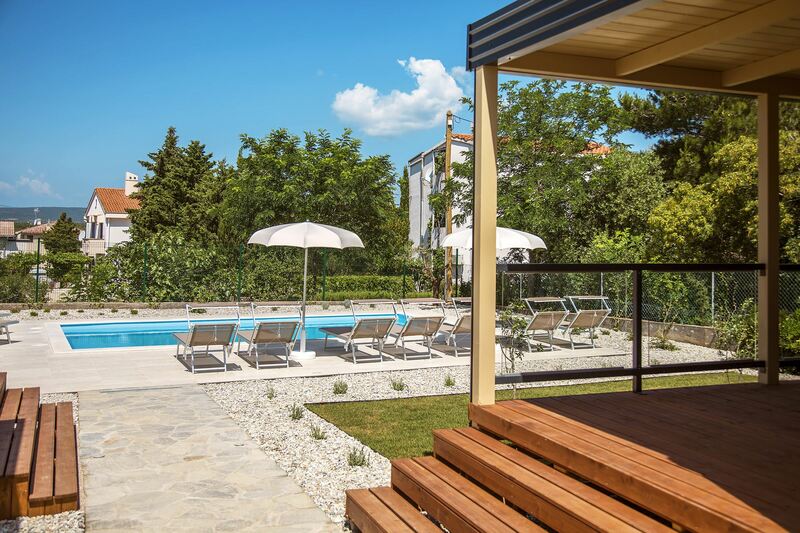 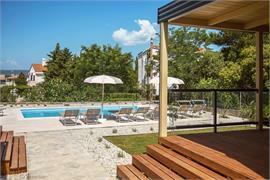 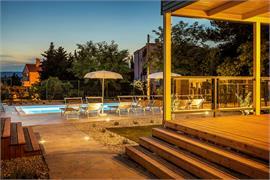 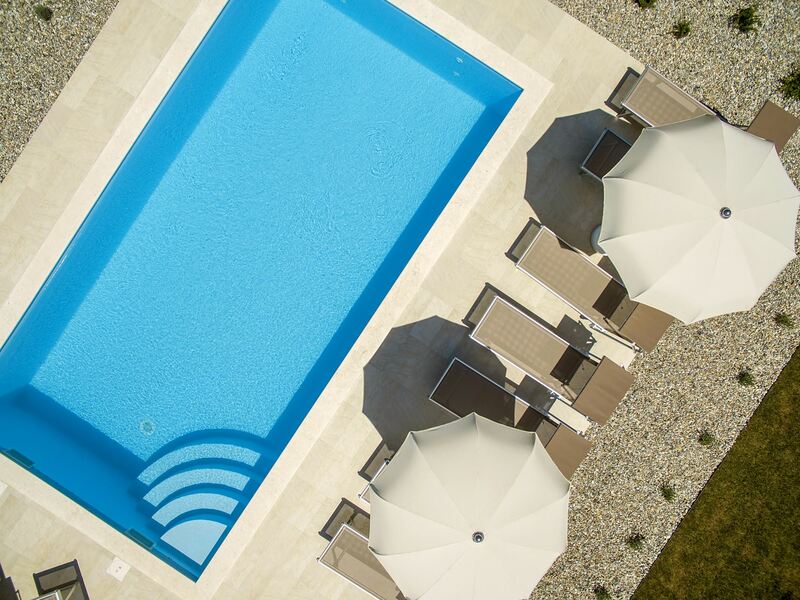 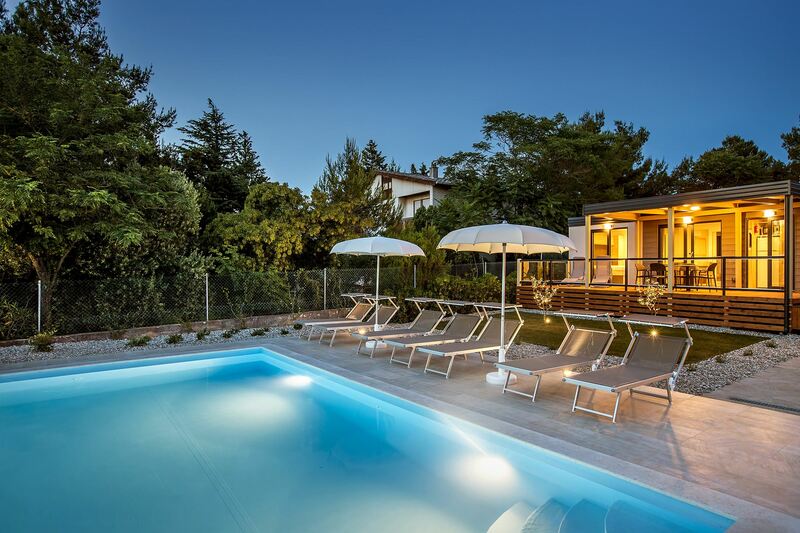 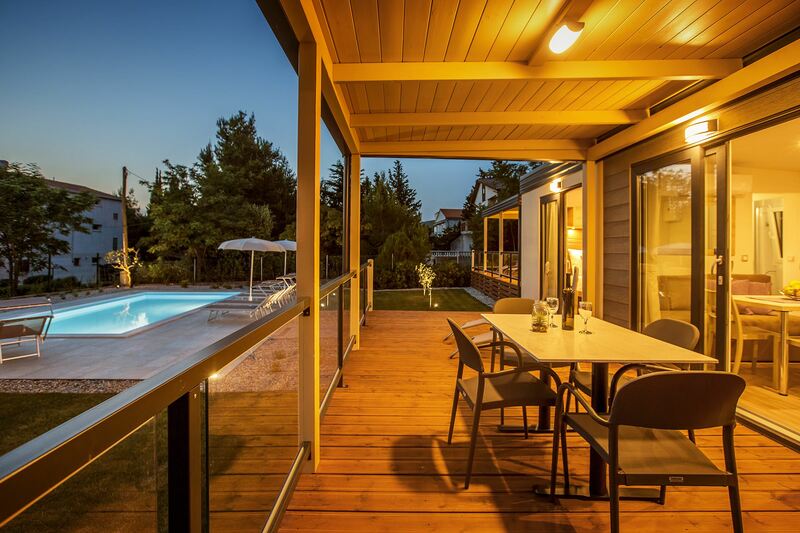 Komplex "Sanmar" is the perfect place for a peaceful family holiday!